Magnesium powers more than 300 chemical reactions in your body, some of which include maintaining a steady heart rhythm and regulating blood sugar levels. Magnesium coined the “miracle mineral”, this nutrient can also alleviate bloating and constipation while reducing fluid retention. Do you constantly feel sluggish and groggy? Are you suffering from an inability to relax? 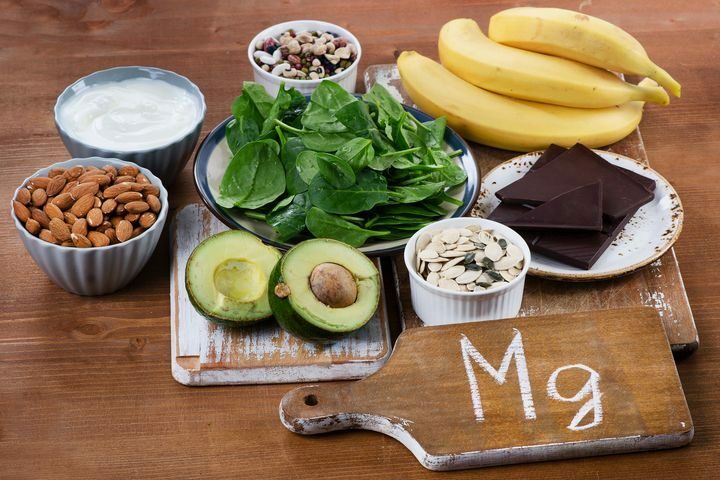 You might be dealing with a magnesium deficiency. With 100 mg magnesium, this is the perfect dish to include in your diet to increase your Magnesium intake. In this healthy, 30-minute fish recipe, cooking the fillets skin-side down makes it easy to keep them intact when you flip them. Preheat oven to 450 degrees F. Coat a rimmed baking sheet with cooking spray. Toss potatoes and broccoli with 1tbsp oil and 1/4 tsp salt in large bowl. Transfer to the preheated baking sheet. Cook, stirring once, until tender, 20 to 25 minutes. Meanwhile, pat cold dry and cut into 4 portions. Season with the remaining 1/4 tsp salt and pepper. Heat 1tbsp oil in a large nonstick skillet over medium heat. Add capers and cook until golden brown (about 1-2 minutes). Using a slotted spoon, transfer the capers to a paper towel, leaving the oil in the pan. Place the cod skin-side down in the pan. Cook, undisturbed, for 5 minutes. Flip and cook until the fish flakes easily with a fork (3-4 minutes). Combine the remaining 2tbsp oil, lemon juice, mustard and garlic in a small bowl. Toss the potatoes and broccoli with thyme. 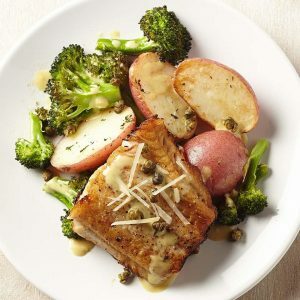 Serve the vegetables and cod drizzled with the lemon vinaigrette and garnished with the capers and Parmesan. We know that kale is a good source of magnesium, but did you know edamame is, too? 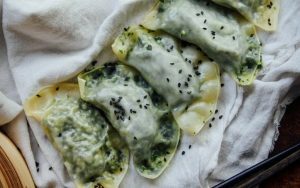 The filling comes together in a snap in the food processor, the dumplings cook through in less than five minutes, and the dipping sauce is just whisked together in a bowl. That’s it! Make them and eat up! Blend all ingredients together in a food processor until you get a chunky paste. Taste and adjust accordingly. Place about a tablespoon of the filling on each dumpling skin. Moisten the edge of the skin halfway around with some water with your fingers. Fold over, creating a half-moon shape. Press firmly and create small folds along the edge. Steam the dumplings until the skin is somewhat transparent, about three to five minutes. If you don’t have a steamer it’s ok to fill the bottom of a pan with water and steam the dumplings, covering the pan with a lid. 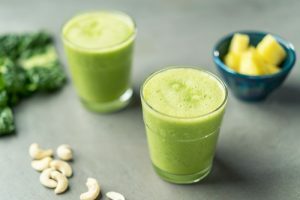 This magnesium-rich smoothie helps to strengthen almost every system in your body. Enrich your diet by including more magnesium by including this recipe in your diet. Add all ingredients to your Tall Cup and extract for 30 seconds, or until smooth.